Don't try telling us here at Cycle Chic that urban cycling isn't sociable. You'll never be able to convince us. 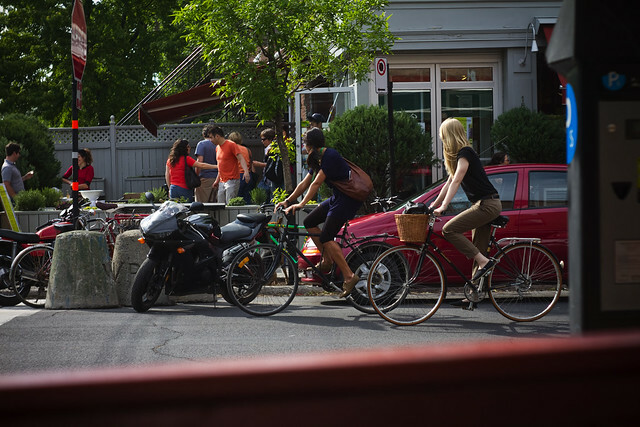 Here are some shots of the Montreal Bicycle Social Club. 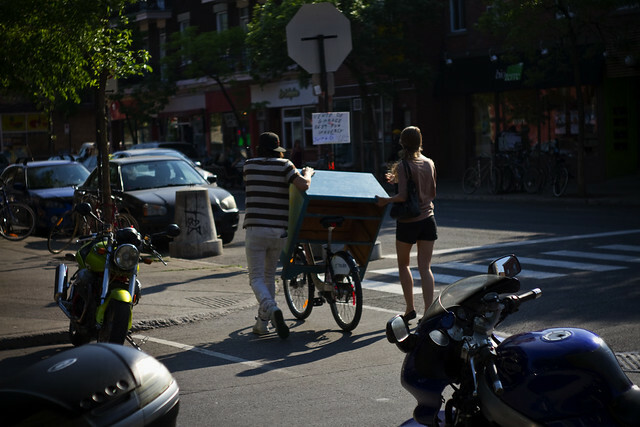 Above, creative use of a Bixi to get a piece of flea market furniture home. I always feel at home in Montreal. 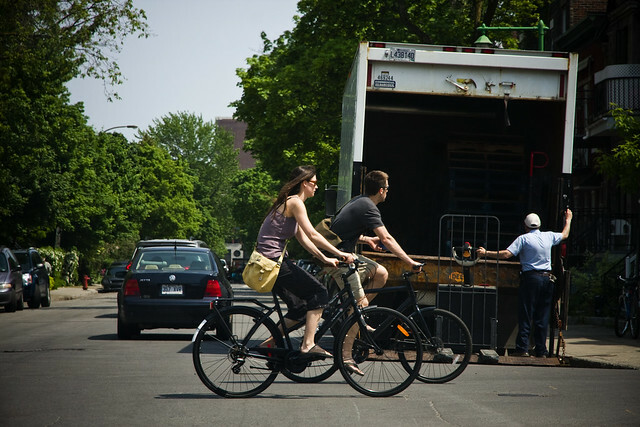 But seeing a Danish Nihola cargo bike (and doing a u-turn on Parc to go back and take a photo of these two) helps make me feel closer to Copenhagen. Just a note. As one of my every day readings, you have had an award bestowed upon you. It would be great to see some pics from Copenhagen again sometime soon. 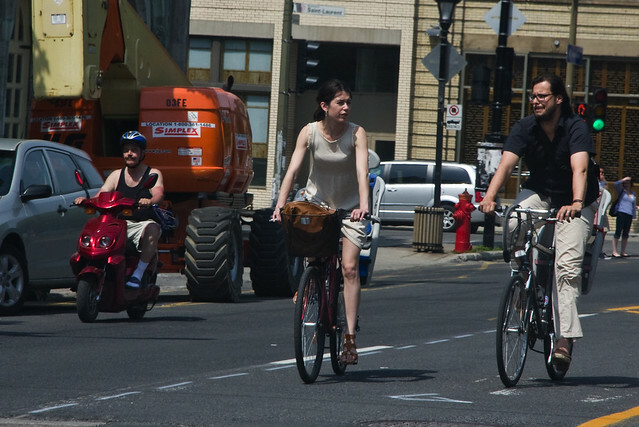 After all, I gather Montreal has its own cycle chic site. 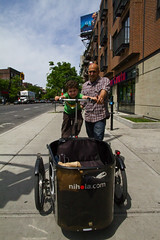 The cargo bike looks very handy. @ Anonymous (strange name): I am not in the least jealous of Montreal - I personally dislike the city, but that is neither here not there. I am a Scandinavian stuck in North America for the time being and Copenhagen Cycle Chic is one of the sites I look at as a sweet reminder of 'home'. It has been less so recently with all the pictures from Canada. That's all. Hey! !This is a great blog! Thank you for sharing great pics!! !